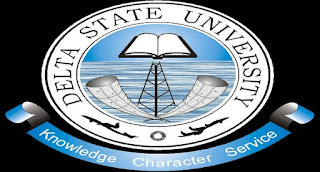 Delta State University, DELSU Joint Universities Preliminary Examinations Board (JUPEB), Supplementary Admission Form, Requirements, Duration, Subject Combination, Application Guidelines, Entrance Examination Date and Time for 2018/2019 Academic Session. 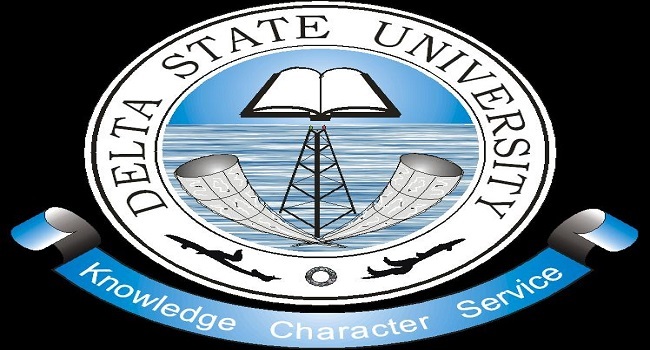 The Delta State University In collaboration with the Joint Universities Preliminary Examinations Board (JUPEB), invites applications from suitably qualified candidates for admission into the school of Foundation Studies for the 2018/2019 session. Highly successful candidates after an approved examination administered by JUPEB are eligible for consideration into 200 level of the Degree programme of the University through JAMB. Candidates seeking admission into the JUPEB Foundation Programmes must possess a minimum of five (5) credit passes in at least five (5) “O” Level subjects, including English Language and Mathematics at not more than 2 sittings in GCE, SSCE (WAEC, NECO, NABTEB). However, for Medicine & Surgery, Nursing and Pharmacy the 5 O’ level credit must be at one sitting. All the combinations shown in the table meet the entry requirements for direct admission into Degree Programmes in the Delta State University and other JUPEB affiliate Universities which include, OAU, UNILAG, UNN, UYO, FUTA, FUNAAB, UNIPORT, FUPRE, UNICAL, LASU, FUTO, UNILORIN ,UNIBEN, NDU, ESUT, ABUAD etc. The duration of study is a minimum of one Academic Session of Two Semesters. Successful candidates are to be accommodated in the University Halls of resident in Site II, Abraka. Candidates are required to visit www.delsuonline.com. to generate a virtual PIN with N20,000 (twenty thousand naira only). Evidence of payment (Bank tellers) for Centre Screening (the cost covers honoraria for centre facilitation, logistics for producing screening materials and security). Payment should be made to any of the following banks. viii). Print out the PIN generated. ix). Visit any of the specified banks for payment. The application form must be correctly filled with all the required information before submitting online and thereafter print out in the DELSU website. Submit the online application form and print out a copy of the examination schedule. Fill your Bio-Data correctly as no complaint about wrong bio-data will be entertained after submission. Candidates who upload wrong bio-data will be disqualified and application fee forfeited. Only coloured print out will be accepted. Print at least 4 copies of the Delta State University online registration form with complete passport size photograph printed in colour. Candidates are to follow the application instruction very carefully and ensure they select the subject combinations relevant to their course of study. Closing Date: Wednesday, 17th October, 2018. The Entrance Examination into the Foundation Programme will hold at the Delta State University, Site III on Saturday, 20th October, 2018.